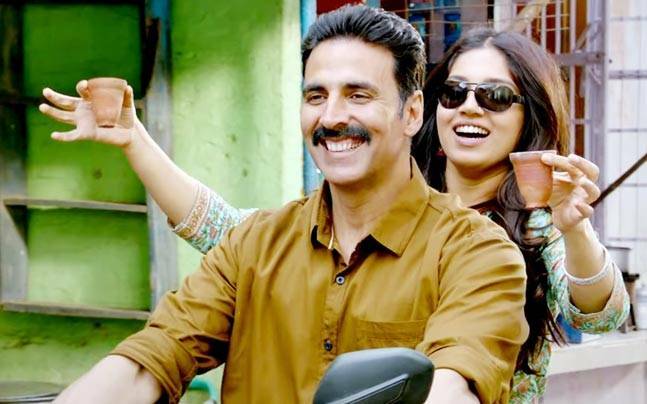 Recently, Akshay Kumar starring film Toilet Ek Prem Katha was released and is receiving lots of love from the audience. This movie is inspired from the “Swachh Bharat Abhiyaan” and focuses on the importance of sanitation and hygiene in our country. In the first weekend of its release, the film has not only broken a few but 6 big records at the box office. 1. Toilet Ek Prem Katha has become the 5th highest opener of 2017 with a box office collection of Rs. 13.10 crores, beating Badrinath Ki Dulhaniya and Kaabil. 2. On its second day, the film earned Rs. 17 crores, beating Shahrukh Khan’s Jab Harry Met Sejal which earned Rs. 15 crores. 3. Leaving behind Raees and Kaabil, this film collected Rs. 21.25 crores on the 3rd day. 4. On the basis of first 3 days collection, this film has collected Rs. 51.45 crores, beating the records of Kaabil, Jolly LLB 2 and JHMS. 5. It has also become the highest opening film of Akshay Kumar in 2017, previously its was Jolly LLB 2 which collected Rs. 50.46 crores in the first weekend. 6. Since 2011, this is the 6th movie of Akshay Kumar which get the highest opening at the box office. Have You Met Mahatma Gandhi’s Great Grand Daughter, Medha Gandhi?